Цел на курса: Потготовка за сертификат LPIC-3, повишаване на квалификацията. Дати на провеждане – съгласно нашият календар. Description: Candidates should be familiar with the server replication available with OpenLDAP. Description: Candidates should be able to configure encrypted access to the LDAP directory, and restrict access at the firewall level. Description: Candidates should be capable of measuring the performance of an LDAP server, and tuning configuration directives. Description: Candidates should be able to configure PAM and NSS to retrieve information from an LDAP directory. Description: Candidates should be able to integrate LDAP with Active Directory Services. Description: Candidates should understand the essential concepts of Samba. As well, the major differences between Samba3 and Samba4 should be known. Description: Candidates should be able to configure the Samba daemons for a wide variety of purposes. Description: Candidates should know about the various tools and utilities that are part of a Samba installation. Description: Candidates should understand the structure of trivial database files and know how troubleshoot problems. Description: Candidates should be able to work with internationalization character codes and code pages. Description: Candidates should be able to create and configure file shares in a mixed environment. 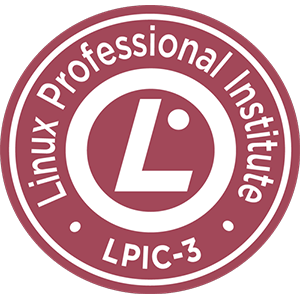 Description: Candidates should understand file permissions on a Linux file system in a mixed environment. Description: Candidates should be able to create and manage print shares in a mixed environment. Description: Candidates should be able to manage user and group accounts in a mixed environment. Description: Candidates should understand the various authentication mechanisms and configure access control. Candidates should be able to install and configure the Winbind service. Description: Candidates should be able to setup and maintain primary and backup domain controllers. Candidates should be able to manage Windows/Linux client access to the NT-Style domains. Description: Candidates should be able to configure Samba 4 as an AD Domain Controller. Description: Candidates should be able to integrate Linux servers into an environment where Active Directory is present. Description: Candidates should be familiar with NetBIOS/WINS concepts and understand network browsing. Description: Candidates should be familiar with the internal DNS server with Samba4. Description: Candidates should be comfortable working with CIFS in a mixed environment. Description: Candidates should be able to interact with remote Windows clients, and configure Windows workstations to access file and print services from Linux servers.